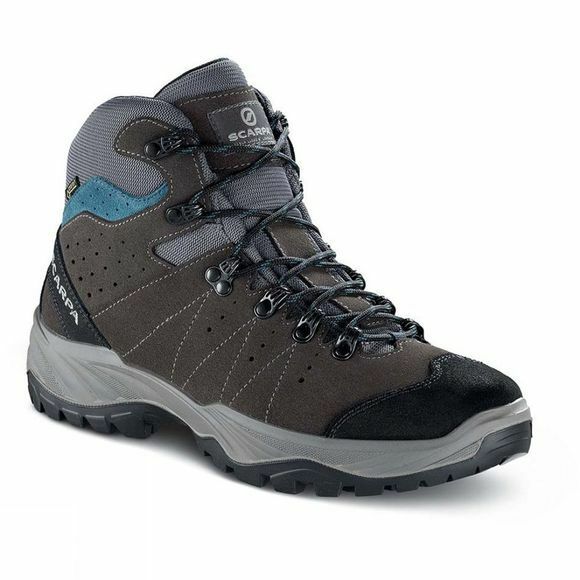 This boot is ideal for hiking, walks through the woods and on trails, even on rainy days. A 2-3 season walking or hiking boot, the Mistral follows in the footsteps of the classic model Cyclone, or could also be easily positioned as a fabric Terra. The new version of the Scarpa Mistral GTX keeps the 1.8mm suede leather upper with Gore-Tex Performance Comfort lining. Mistral GTX has an instant comfort fit due to the injection construction system. With the new Vibram Energy II sole, Scarpa Mistral GTX offers greater performance, is the perfect solution for three-season hiking, and is ideal for rainy days.